Refinancing a home is something many homeowners think about but never actually pull the trigger on. If you’ve been sitting back, waiting on the sidelines for the perfect time and opportunity to refinance your current mortgage/home loan, think of right now as being your last chance to act. It’s being speculated that mortgage rates have hit their bottom. If that is the case (and it very well could be), that means it’s time to get busy. With good credit, persistence and some shopping skills, you can still snag phenomenal deals this year to refinance a home loan — even if you are upside down on your home loan. Here are 10 tips for refinancing your mortgage. Here are 10 refi tips that are sure to make the process of refinancing your home a lot smoother. With mortgage rates near the bottom and home prices on the rise, it’s still a perfect time to refinance or even buy a home. If you can afford a home and qualify for a mortgage, this may be your last chance to take advantage of the market and get an amazingly low interest rate. To speed up the home buying process it’s always recommended to get a pre-approval before you start shopping. If you haven’t refinanced recently, you’re probably paying a higher interest rate on your mortgage than you really should. Take advantage of the current record-low mortgage rates while they last. Rates are expected to remain low during the first few months of the year, but they should gradually increase. When they do, many potential home buyers will regret having missed the opportunity to grab some of the lowest mortgage rates in history. Credit standards, although have loosened some, we’re certainly not back in 2006 when the subprime market was going crazy. As new mortgage rules were unveiled in 2013, the standards are not expected to loosen anymore than what they have. If you plan on getting a home loan anytime in the near future, you really must treat your credit as your most valuable asset. Many mortgage lenders want to see a spotless credit history of at least a year or two on your credit report. You’ll need a credit score at the very minimum of a 720 to ensure you receive the best interest rate. Potential buyers with a credit score of 620 or more can still get a good deal, but the lower your score, the more difficult it will be to get approved for the loan. We can help you get a Refinanced Mortgage no matter your situation. Click to Get Pre-Qualified for a Refinance Now. Review your credit report before you apply for a mortgage. Sometimes, paying some of your credit card balances can boost your credit scores very quickly. Typically, if you are using more than 30% of the available credit on your cards, you’re not getting the absolute best benefit of having those credit cards on your credit. Also be sure to check your credit for errors and have them remedied before you apply for a loan. Many home buyers opt for a FHA mortgage because it allows them to buy a home with as little as 3.5% down. The already costly FHA fees though that are added to your loan increased again in 2013. As the costs of FHA mortgages rise, some buyers may consider saving a little extra for a conventional loan. Potential buyers need at least 5% down to get a conventional mortgage, depending on their credit. If you are VA loan eligible you can get away with 0% down payment which is wonderful. If you can afford the slightly higher down payment, get multiple quotes for FHA and conventional loans, and compare the costs. Depending on your current mortgage, that will determine your refinance options. Same principles will still apply. If you owe more than your home is worth and have tried and failed to refinance, why not give it another shot in 2016? The Home Affordable Refinance Program, or HARP 2.0, was revamped to allow homeowners to refinance regardless of how deeply underwater they are. Even after some revisions to the HARP program, many borrowers still found obstacles when refinancing but fortunately the situation is improving. Lenders are much more open to HARP refinances these days than they were a few months ago. If one lender says you don’t qualify for a HARP refinance, don’t take “no” for an answer, and try to find a lender willing to do it. The HARP refinance program has been extended and is now scheduled to end December 31st 2018. Tip 6: Want to pay off your mortgage sooner? If you are one of those homeowners who dream about being mortgage-free, the low-rate environment may be a good opportunity to refinance your 30-year mortgage into a 15- or 20-year loan. Be sure though you can really afford the slightly higher payments on the shorter loan and that you have some money saved for emergencies. The last thing you need is to refinance with an awesome rate only to get foreclosed on a few months later. Even with rates hovering near record lows, you should still shop for the best mortgage deal. 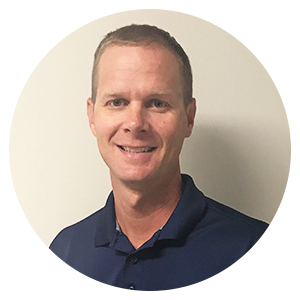 Get quotes from at least three to four lenders and compare not only the interest rate itself but the closing costs and the quality of their service. Lean toward lenders that have a good reputation of closing their loans on time. Start with places like Home Loans For All that will shop you to multiple reputable lenders then you can try referrals from friends and relatives. If you have trouble paying your mortgage, don’t ignore your mortgage provider. There are new programs available for borrowers who struggle to keep up with their mortgage payments, including forbearance for those with FHA mortgages. Many lenders have been more willing to work out delinquent loans through loan modifications and even short sales for homeowners who can’t afford to stay in their homes. It can be a frustrating process to deal with your lender, but always remember that communication is still your best tool. Typically most if not all lenders will order another credit report for the borrower a few days before closing. Do not open any new accounts or charge up your credit cards at Best Buy or any other merchants you have cards with while you wait for closing day. New credit lines and maxed-out cards can hurt your credit scores. If you were close to being on the edge when you qualified, your refinance or home loan could be rejected at the last minute. You’ve submitted your refinance or mortgage application and locked a rate. The race has just begun. Submit any and all documents requested by your loan officer or mortgage broker within 24 hours, if possible. Any delays in responding to your lender or in letting the appraiser into your house are wastes of valuable time. Lenders will continue to remain overwhelmed with the massive volume of refinance applications at least through the first few months of 2017. It doesn’t take much more than lost paperwork or some last-minute requests from the lender to delay the closing. If that does happen, you can risk losing the locked rate. Follow up with your lender at least once a week to ensure the process goes smoothly. There are many more useful refi tips out there on refinancing or buying a home. 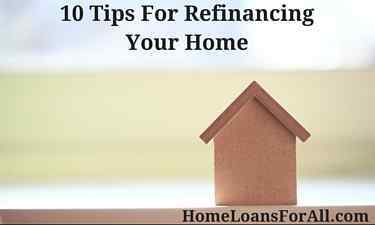 We chose these 10 because overall they are the tips that will provide you the most benefit whether you are refinancing your existing home or trying to purchase a new home. Follow these 10 tips for refinancing and you should be swimming in the low-rate interest pool very soon. Home Loans For All works with some of the nation’s best mortgage lenders for refinancing. Enjoy our refi tips? We can help you get a Refinanced Mortgage no matter your situation. Click to Get Pre-Qualified for a Refinance Now. It’s good to know more about refinancing our home. We’ve definitely been procrastinating, but if we can be paying less on our interest rate, I’ll have to check that out! We’d love to save some money on our bills.